Year: 1898 Item #: 113 Views: 6,521 Comments: No Comments. Forging Ahead. 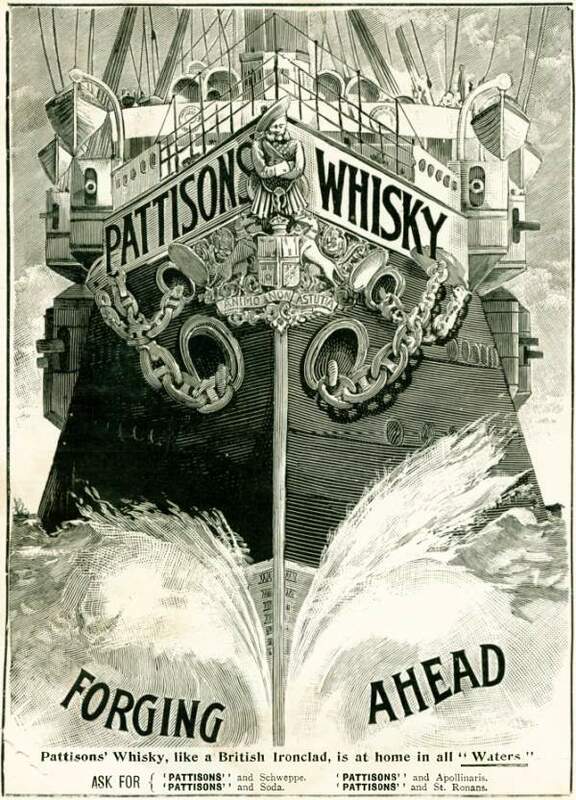 Pattisons' Whisky, like a British Ironclad, is at home in all 'Waters'.